Author and local historian Charlotte Golledge will launch Greyfriars Graveyard on Monday 22 October at 1pm at the church of the famous Edinburgh site. Using old newspapers, documents and burial records, the book covers the dramatic history of body snatchers, Greyfriars Bobby, the Covenanters and much more. 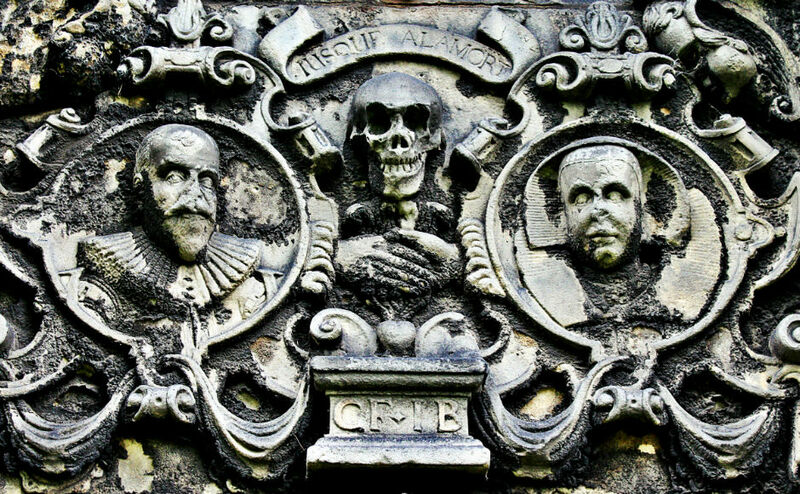 Edinburgh residents have used the graveyard since the 16th century, when it was the most prestigious site in the city for burials. But the origins of Greyfriars go back to the early 1400s, when James I of Scotland granted the land to a monastery. The book also explores the symbolism of the monuments and gravestones, which Ms Golledge describes as "the greatest collection of 17th century mural monuments in Scotland." Many of these include skull and crossbones carvings, which she emphasises are "not anything to do with pirates". "In fact it is a reminder that death comes to everyone", she says. Having written her master's dissertation on the kirkyard, Ms Golledge has become an expert in its unique history, particularly the grave of one Thomas Smith. Ms Golledge, who is also a tour guide, is now in contact with the four times great-grandson of Thomas Smith, and has researched the remarkable history of a family who rose from humble origins into the aristocracy over four generations. A true labour of love, writing the book appealed to Ms Golledge as she has been interested in the site "for as far back as I can remember." "Like a lot of children, I was introduced though the medium of film, for me it was the 1961 version of Greyfriars Bobby", she said. "With a natural fascination of graveyards and a growing library on the subject in 2004 I started to document the mural monuments on the east wall of the kirk yard for my own enjoyment and so began nearly 15 years of research of one of Scotland's most important burial grounds. 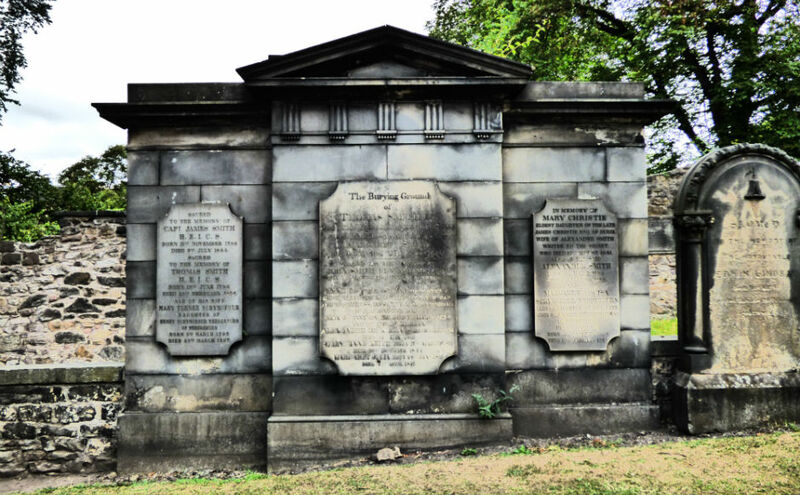 "While the notable members of Edinburgh society took their leave of this world soon to be all but forgotten, their monuments live on, each with their own story to tell. "I still see new stuff when I go there", she adds. Although she's keen to tell share the extraordinary history of the Greyfriars churchyard, Ms Golledge is equally passionate about its conservation. "I really want the conservation of the graveyard to continue so that it will be preserved for future generations." Rev Dr Richard Frazer, minister of Greyfriars Kirk, described the book as a "stunning labour of love" and praised Ms Golledge for "highlighting the stories contained in our special Kirk Yard." 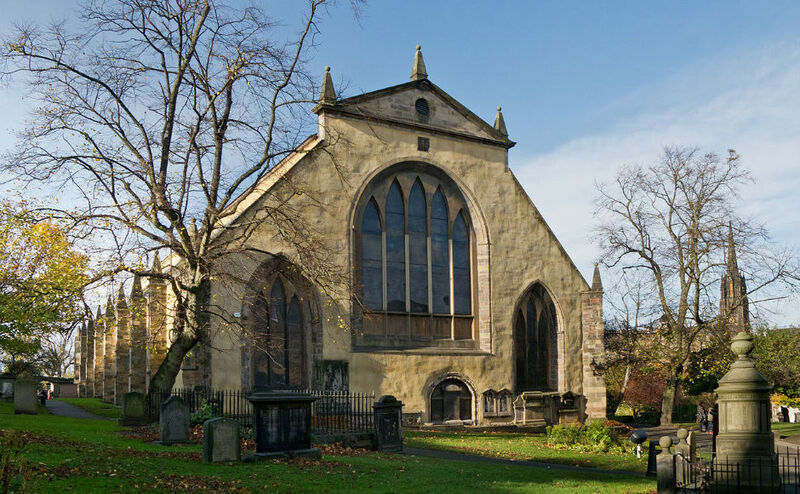 "It has also come at a fortuitous time, as Greyfriars Kirk will be celebrating its 400th Anniversary in 2020 and it will prove an invaluable resource as we celebrate the past and plan for the future. "Her work highlights the remarkable stories of the people of Edinburgh and Scotland whose endeavour and enlightenment have done so much to shape our modern world. "By cherishing stories in stone, Charlotte inspires us to become living stones, continuing the task of building a better world of wisdom, justice and peace". Greyfriars Graveyard by Charlotte Golledge is published by Amberley Books and can be bought at the event or online. Find out more about or follow Greyfriars Kirk on Twitter or Facebook.